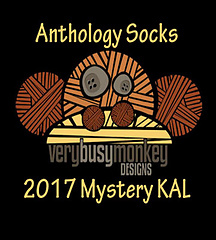 Originally designed as the 2017 mystery pattern for my Rav Group’s annual mystery KAL featuring matching sock and shawl designs that can be purchased separately or together. Now available as single-file patterns. 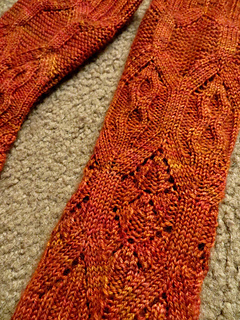 Alone, the shawl is $5.50 and the socks are $4.50, together for $9.00. 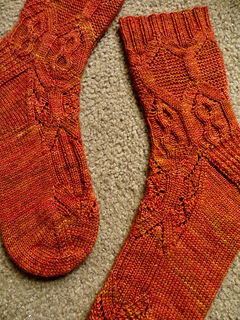 The socks are worked top-down and feature a combination of lace, cable, and texture designs. 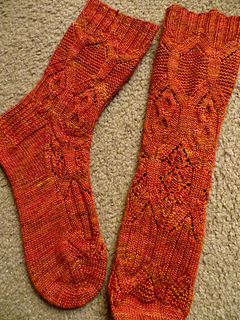 Both include both written and charted instructions for multiple sizes (the shawl will be written up for small (400-yard) and large (800-yard) versions) and the socks will include three sizes (64-, 72-, and 80-st sizes).